I loved the way this book looked with I just stamped the cover. 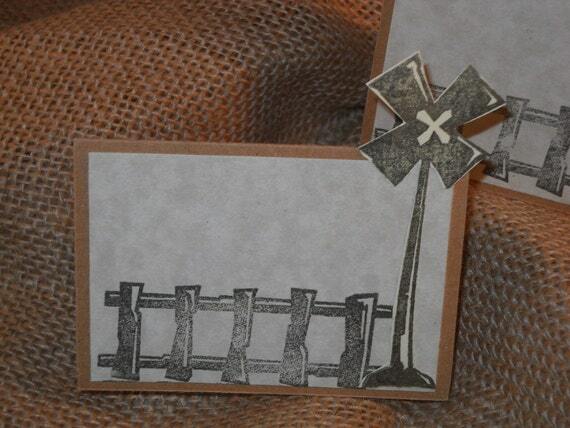 It reminded me of those historical railroads and a little of the old west. 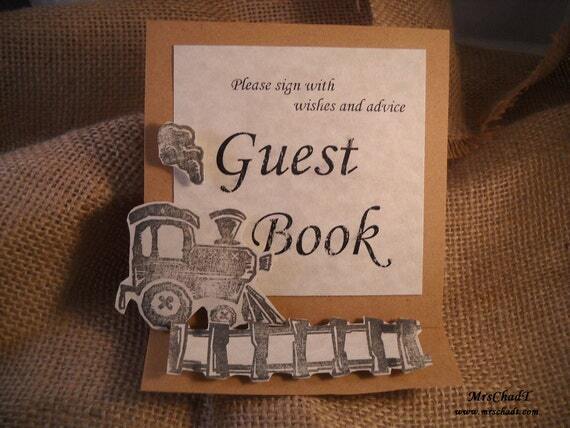 In my previous post, I shared the matching train invitations and thank you cards. Today, here is the matching guest book sign. 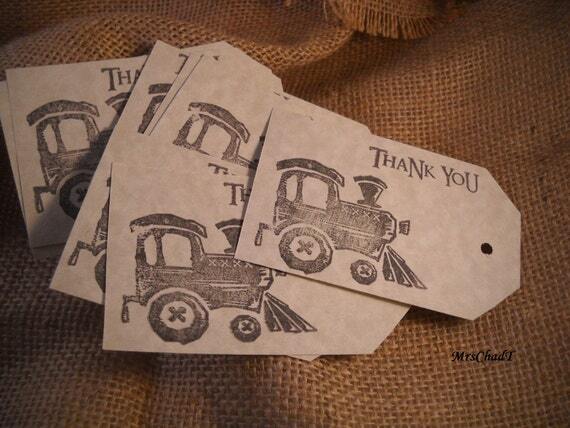 These are food label cards or can also be used for name cards for a historic society event or train themed event. These tags are great for attaching to favors. 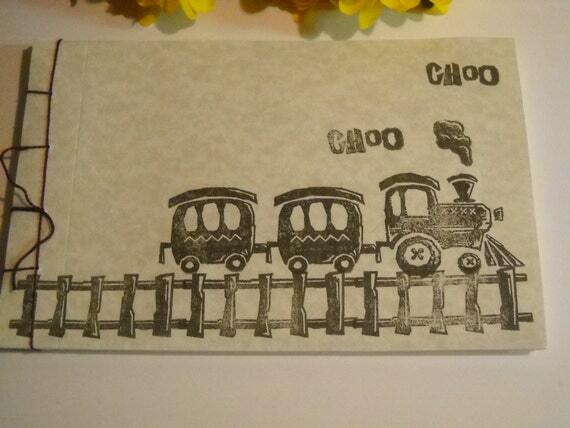 I made a few with just "Choo Choo" on them. I've ordered some brown and white striped baker's twine to include with the tags, I think it really adds to the old west / vintage feel, don't you?